October 24, 2018. 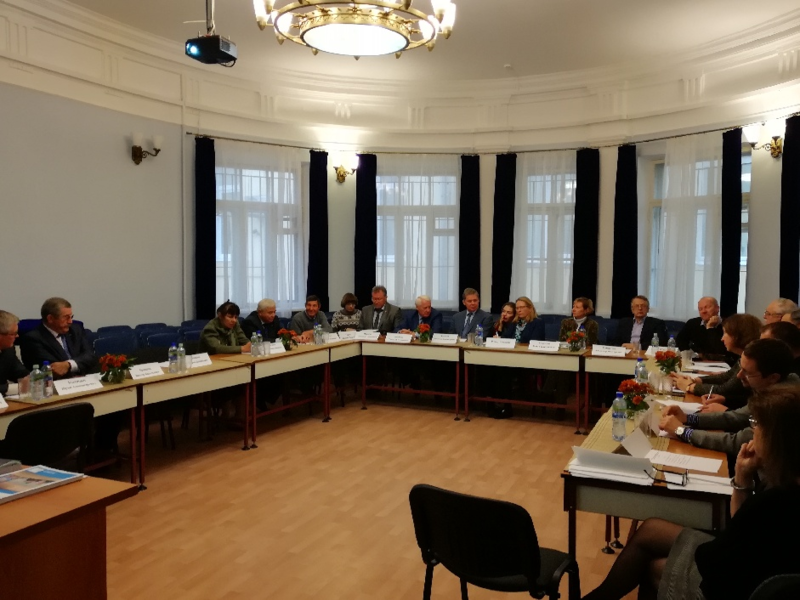 A first meeting of the National Committee on the International Future Earth Program at the Presidium of the Russian Academy of Sciences was held at the Institute of Geography of the Russian Academy of Sciences. Deputy Director for Science of GC RAS Corresponding Member of RAS Anatoly Soloviev, who is a member of the committee, took part in it. The meeting heard a report by Wendy Broadgate (Sweden), Director of the Global Center for the Future Earth Program, on the projects and funding for the Program, the work of national committees and strategic objectives. The participants shared their thoughts on the possible areas of activity of the National Committee of the Russian Federation.